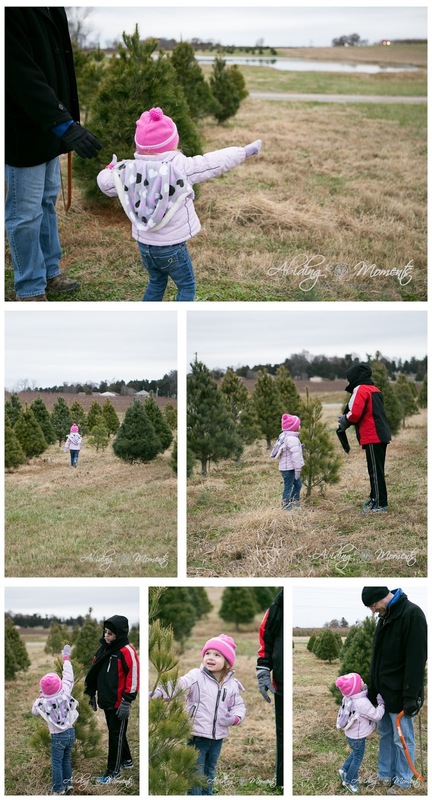 It's December here in the Midwest, and for our family, that means the tradition of finding and cutting down our annual Christmas tree has arrived. Like all good marriages, my husband and I have made compromises over the years. 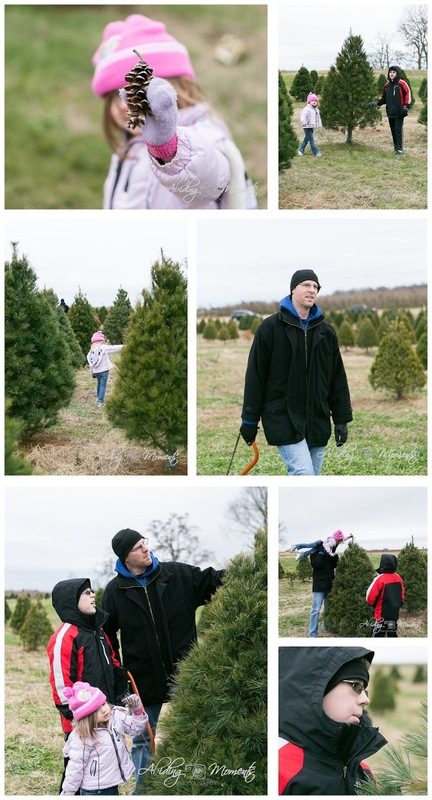 The compromise I made in the early days of our marriage is "hunting" for a Christmas tree each year. 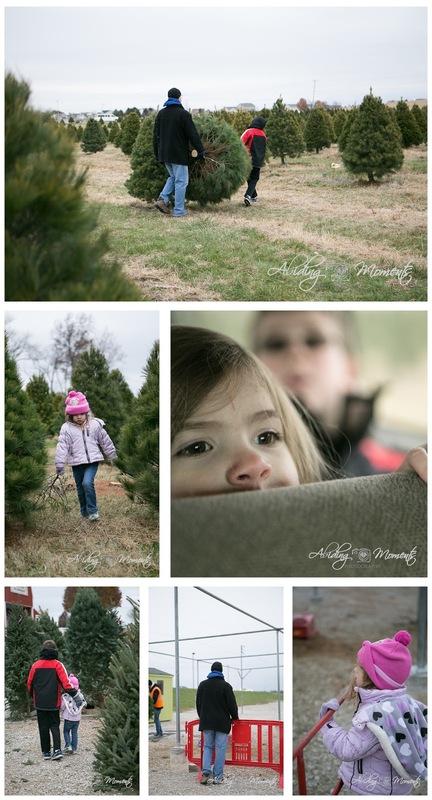 A cut tree is not something I grew up with, but my husband did, and so it's what we do. 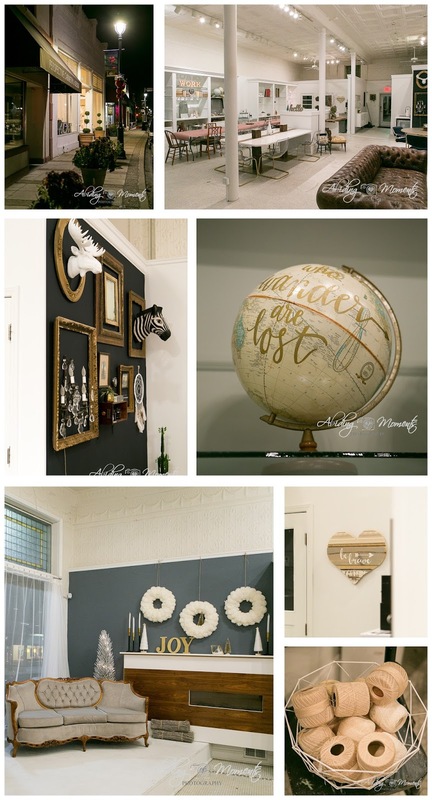 My husband wants it for the memories, and while I love all of the sweet moments I will have years from now, the details of the day aren't quite the same in pictures as they are in real life. I won't REALLY remember how it felt to have my nose numb or my ears burning because it was 30 degrees outside. However, through the pictures, I hope that I WILL recall the soft smile I felt when my people linked hands. Or the gleeful sound of my daughter's squeals as she was running down the hill. Or how excited she was when she found the perfect little tree. 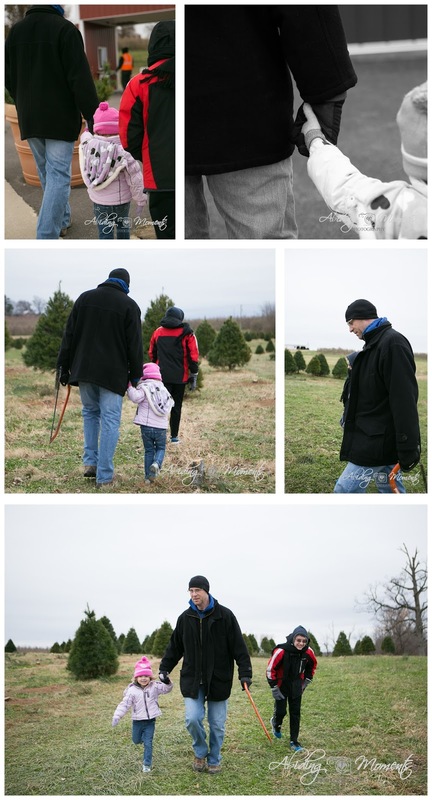 I want these pictures to lock away the pride my daughter had when she could put the star on the tree she found all by herself. I want it to bring back her words like a record player down the hall: "Seeeeee Daddy!! I can reach! PLEASE Daddy?? Can we get this one, please, please, please?" I hope I will be able to hear the calls from across the fields of, "What about this one?" "OOoo - how about that one?!" when I visit these again. And when we were rather sure we had found a good one, I want to remember the sound of my husband's grunt as he raised our girl to test for the star reach. 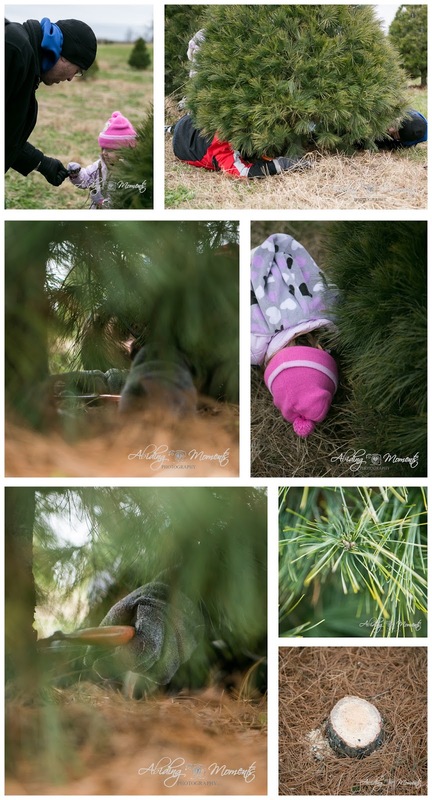 I want to remember how excited my daughter was at finding a real pine cone growing ON the tree. And how my son's hands seemed so grown up as he worked to help cut down our tree. How grown up in general he is and how his young face is slowly starting to upgrade into a teenage face. I want to remember my sweet girl lagging behind. I want to remember how she makes her way at her own pace, no matter how quickly we need to get moving or if it means she is well behind the group. I want to remember that my son was a supportive boy as he helped with his sister and that my daughter was so inquisitive. I want to see my people gathered and remember out tradition of getting snacks at the store for the car ride home. 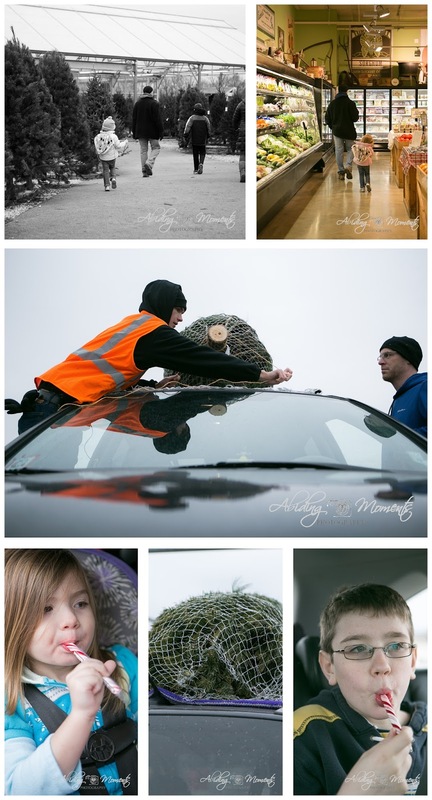 How my little car was the ride home for many a trees over our family's history. I want to remember it all, because the reality is, one day, the traditions will change and then come to an end, and my memories will fade as the years go on. But I don't want to forget any of it. I've been holding onto this set of pictures for some time now. I have have written and rewritten the words a dozen times, trying to find the right thing to say to get to the core of this story. You see, being close to a story gives you a different perspective; it makes you see details differently. It has you looking deeper, which can be both a difficult and beautiful thing. 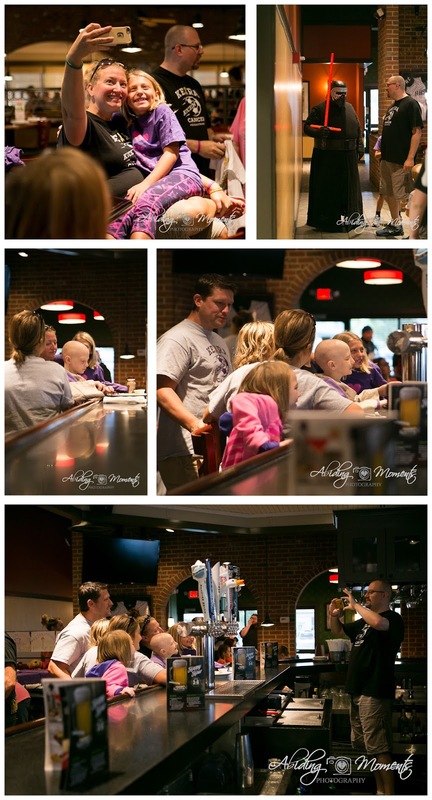 On the surface, it is easy to see that this story is about love and support. It is clear that a community came together and that good times were all around. The finer details are more hidden gems. Hidden gems of the soft and quiet ways those people come together to love. 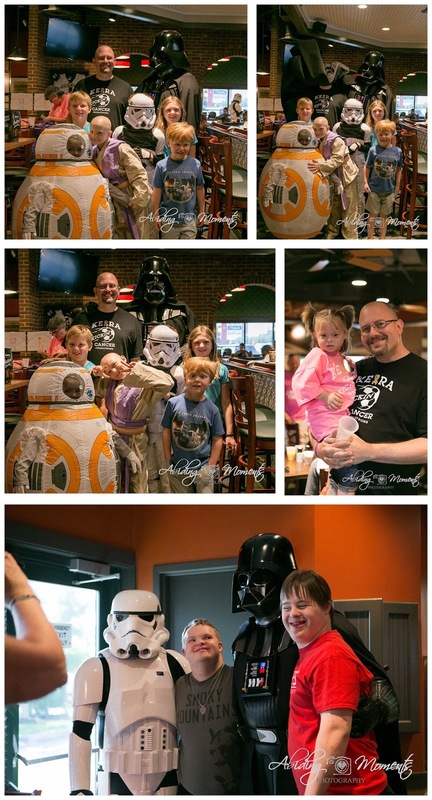 Over two and half years ago, at the age of 7, our friends' daughter Keira was diagnosed with Rhabdomyosarcoma. While I hate everything about that sentence and what it has meant for their entire family, I am forever thankful God brought this family and little girl into our lives. Our lives have changed in amazing ways because of them. After growing close to them over the last few years, we have seen that families facing cancer have an intense and incredible strength - because quite honestly, they don't have any other choice. And through a simply awful time, there comes an outpouring of love and support - from family, friends, the community, and even complete strangers who all become a vital part of the journey. 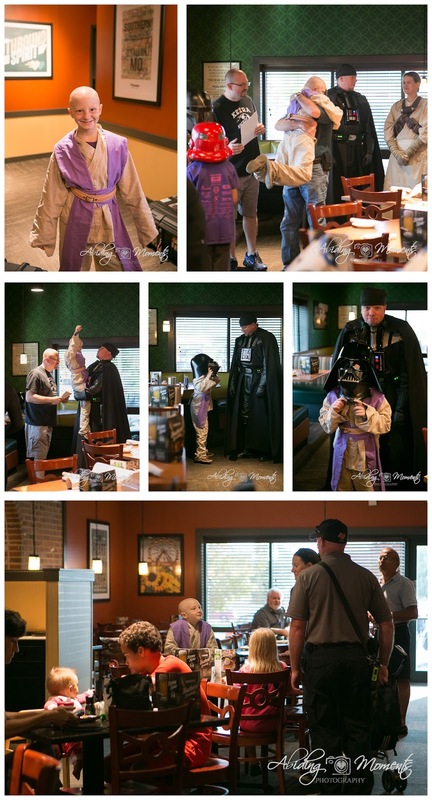 A few months ago, our community came together in the name of that love. 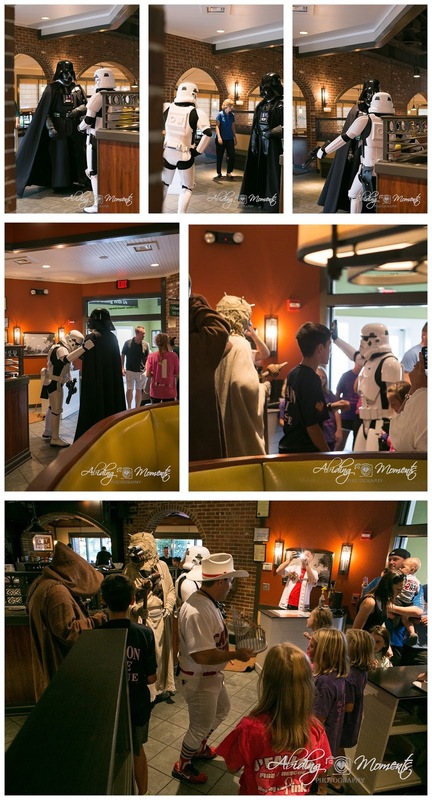 Our local O'Charley's partnered with the family to hold a pancake breakfast, where our fire department and the family's awesome friends with The 501st Legion came along for support. It was all the most amazing thing and I loved every minute of it. 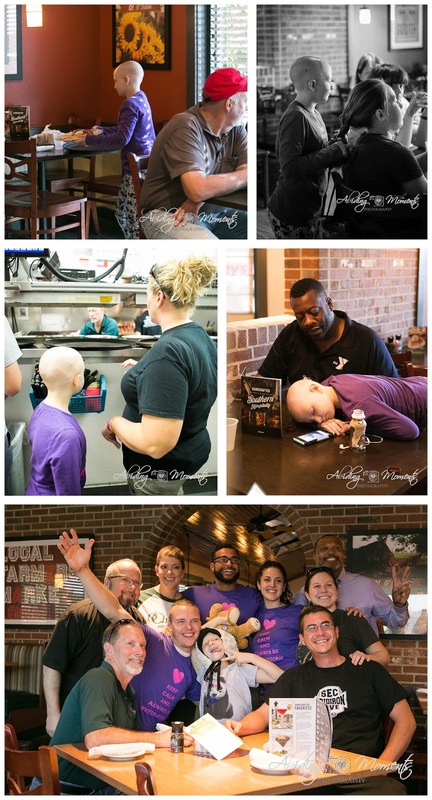 Words seem to not be what this story is needing, so I will just let the pictures speak for themselves. If you'd like to know more about Keira's journey and keep up to date with her story, you can follow it here: https://www.facebook.com/groups/keirastrong/. I hope you enjoy. I can barely believe it is December and that our 5-on-5 circle is having its last post for 2016. Where on earth has the year gone? I don't know about you, but I am so very thankful that there was a little extra time between Thanksgiving and Christmas. That means that I have the chance to give myself a little break between the two and get my head ready for Christmas. As we are gearing up for weekends of tree hunting and decorating and cookie baking and all the other holiday things, I am softly reminded that this time is simply going much too fast. I look over these pictures and I am know that they only stay the size the are (little, medium, or not so medium) for so long. I want to remember it all. And I want my girl to have memories of me being a part. So, I set my camera on the counter, focused on my girl, and used my remote to get in a frame. Like every other Mom I know, I am not the biggest fan of being in pictures. I could tell you a million things wrong with me. I don't think my girl would tell me though. I think she would recall this time as lovely, so that's the way I want to see it when I look back too. Oh those little hands. 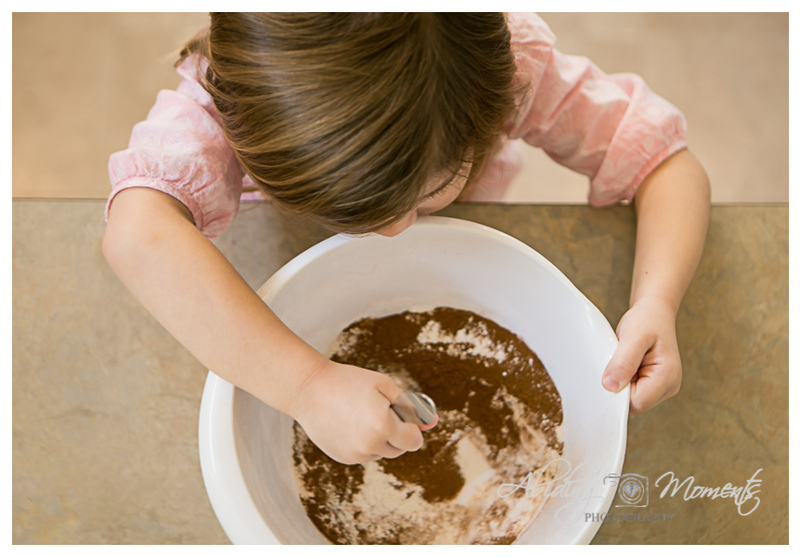 And little tiptoes to reach up to see inside that bowl. Lots and lots of hard work went into this process. I love this girl so much. She is just the right balance of her silly papa and her cautious mama. 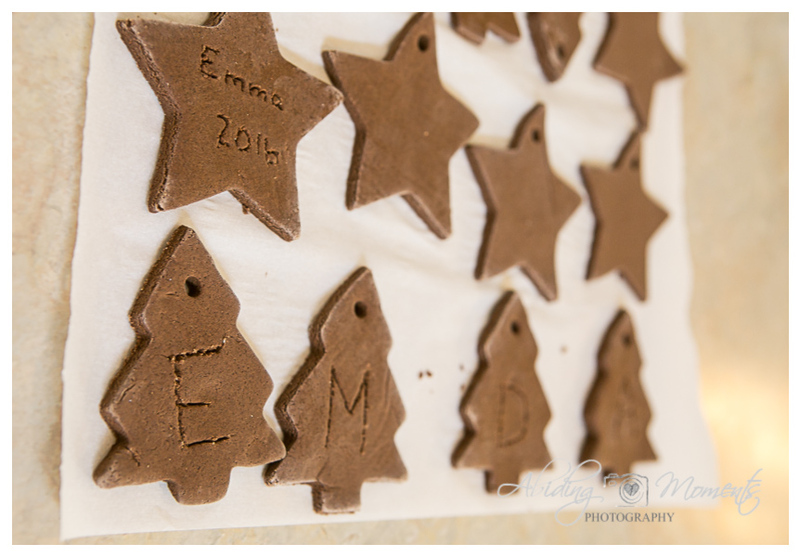 My vision for our ornaments was the star, but my girl begged for the tree. 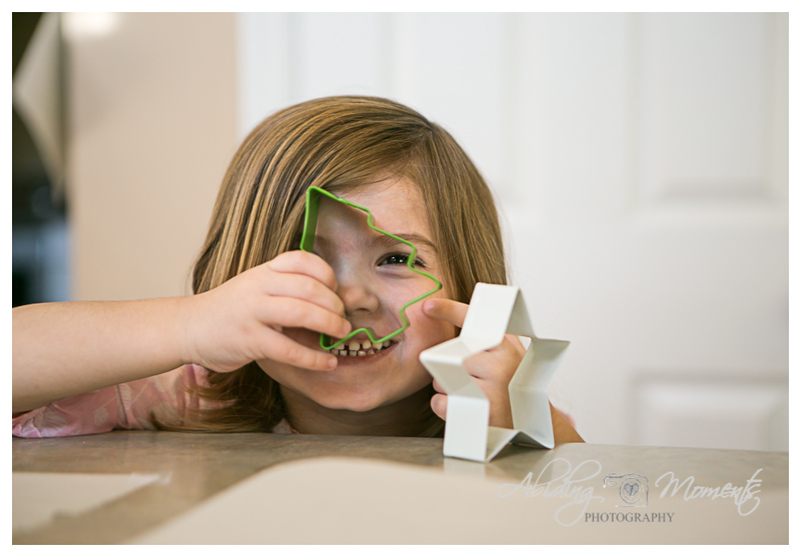 At a dollar per cookie cutter, can you really say no to that face? It is HARD work to make those ornaments the right thickness, but our girl was BOUND and determined to help. 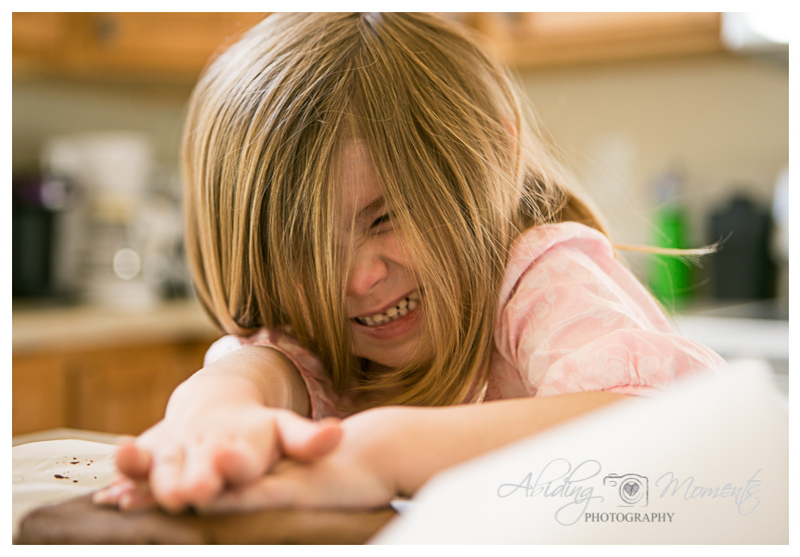 Eventually, we worked on them together with a rolling pin, but it was SO much more fun to watch her try on her own. While these are not the finished product (there is drying time and painting time required), I still love the way they came out. Bonus, my house might smell a little more Christmas-y this weekend. My favorite part of the circle is, well, making the rounds. 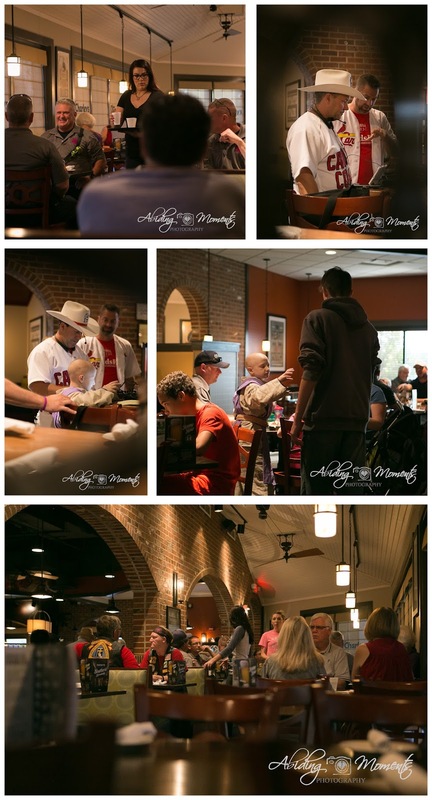 Our group has such talented photographers telling their story every month and for many, this is their one time they share personal stories. I hope you take the few minutes to make it through and comment on their work - while we don't necessarily have anything against crickets, we much prefer to know that our story was seen and had an impact. So, next in the circle is my dear friend Jenny Bowers, a Southern Michigan Documentary Photographer. Make sure to give her some love. Over a year ago, I joined a group called The Rising Tide Society, whose goal is to encourage creative entrepreneurs through community over competition. As a part of that goal, cities across the US have created local groups and have monthly meetings to build relationships and business knowledge. I adore this group. The people are amazing and are such great folks to work with and learn from. As a person who was cautious about jumping into business, I needed a lot of time and support to feel ready - and so many of the people in the group gave me both. In November, our meeting was focused on philanthropy and giving back. Our group got together to create the pieces needed to make shoes for Sole Hope. With one of our members being the owner at a wonderful new space called Roar | St. Louis, it seemed to be the perfect spot. As a group of creatives, we look for different places to meet each time. We need a space small enough for us to feel close, but still large enough to spread out. Quiet enough to have conversation, but fun enough to handle our personalities. Roar was a great fit. The space was open, quiet, unique, and warm. It fit us and our needs so perfectly and had us all wandering around checking out the neat details. 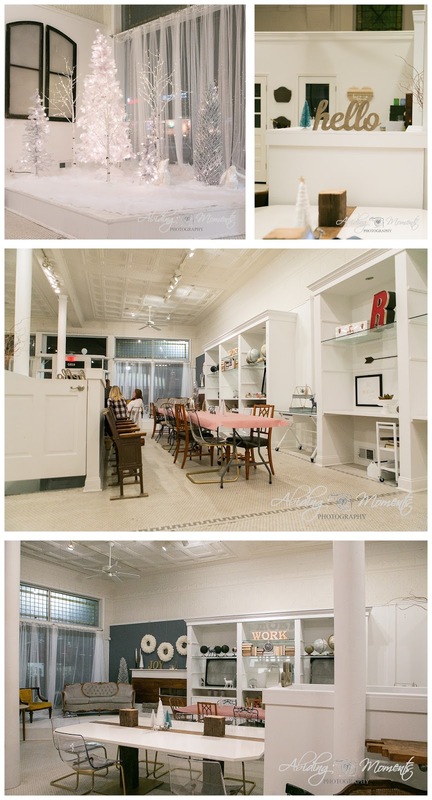 *Side bonus, while the whole building is able to be rented for events, the space has two picture windows set up for - you guessed it - photographers to rent. 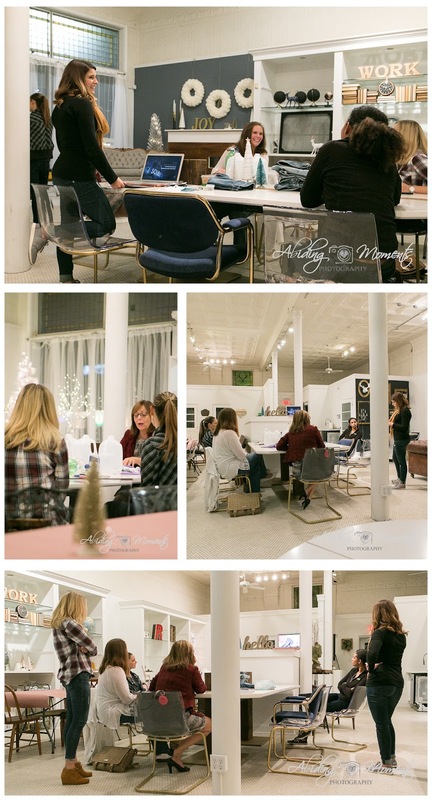 One of the most important things this group offers is the chance to meet with creative business owners who simply support one another. We bounce ideas and share successes and cheer each other on in wonderful ways. Since our goal in meeting for November was multi-purpose, we came ready to get to work! 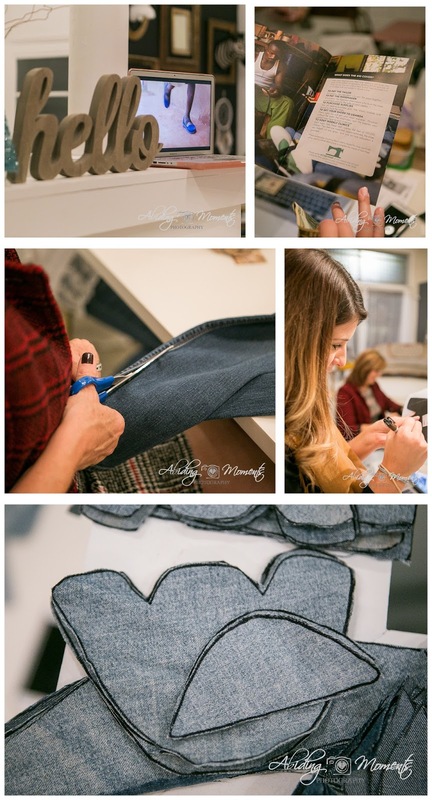 Ahead of time, our members gathered the core pieces for our project: jeans, plastic jugs, scissors, markers, safety pins and many joyful spirits ready to give back. To get us working, we all got the chance to learn about the company we were coming together for. Sole Hope provides not only shoes for the people of Uganda, but so much more. It was amazing to learn about their mission (check it out here). The meeting was such a wonderful time. 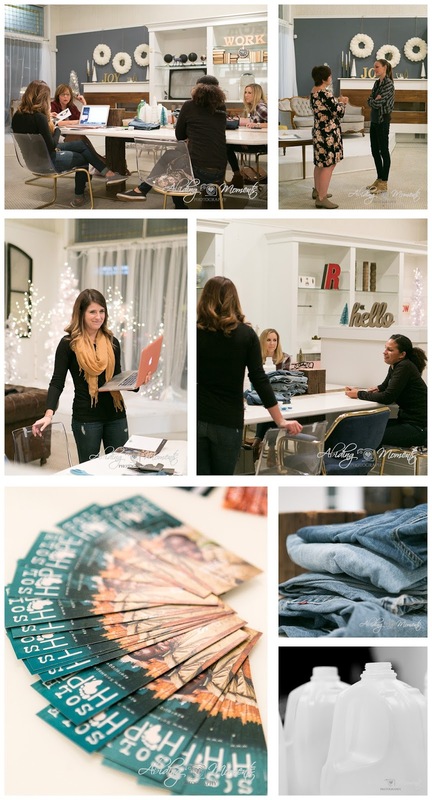 We got the chance to share great conversation and business topics over a mission that lets us give back. And when the month is focused on giving thanks, what a great way to do it. In the end, we cut and prepared enough material to make almost a dozen pairs of shoes, which then got mailed on to shoemakers and tailors in the local Uganda community to finish the process. 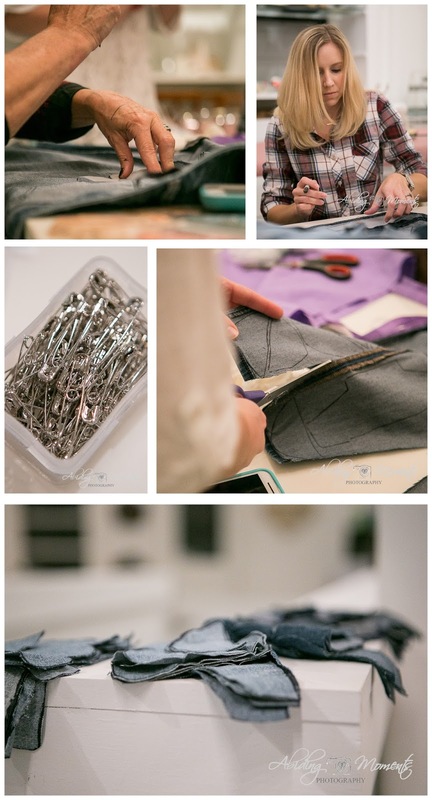 If you are encouraged by what you see, and would be interested in having your own Shoe Cutting Party, go here for the details: http://solehopeparty.org/home-parties-planner/. In this time of giving, it sure was a wonderful way to give back. As a creative, I am part of a local group where we are encouraged to build community over competition within the creative field. It is a wonderful group of small business owners who work to help each other and build each other up. So, when another photographer in the group was looking to go shooting a while back, I was all game. Who am I to turn down time to go shooting with another photographer? 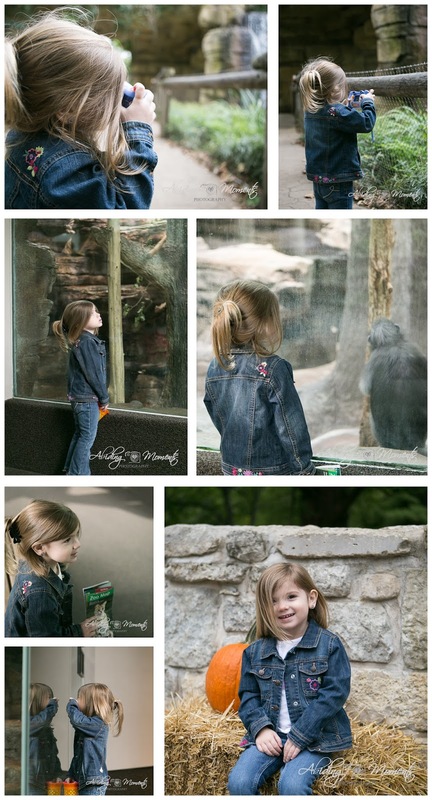 We decided to meet at the STL Zoo. 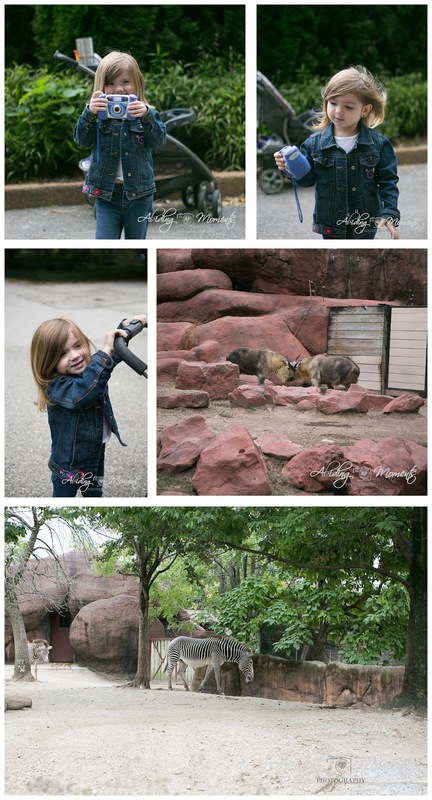 For those non-locals, our Zoo is both amazing and FREE, so it is a hot place for families. I knew that with Emma coming along, I needed someplace we could keep her busy and still be able to chat and shoot. My girl, taking my lead, decided her camera was equally important to our trip and I will tell you that it was a high point in my time. 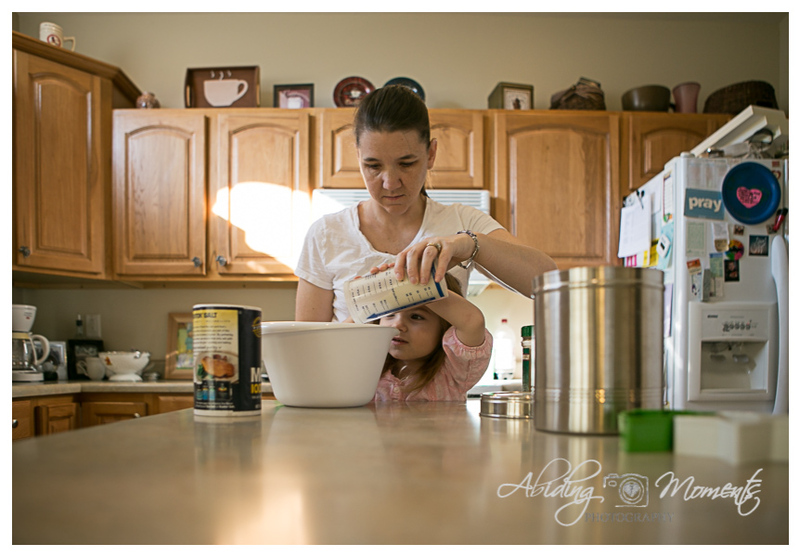 She is adorable to watch and it keeps her busy like Momma - and maybe gives Momma some great things to shoot. That hair is a HOT mess - and I LOVE it. While I wear clips in my hair regularly, getting it to work out right for our girl is tricky. The fact that she had it in for more than 15 minutes was amazing, so I love that it got to be a part of our day. We walked and talked and checked out a million animals. Elephants and monkeys and zebras and animals I didn't even know the names of. Of course, I was probably more interested in my girl's reaction than anything else. She was serious about what she was seeing and since my new friend and I were shooting, she was right there with us. We even decided to have her pose for a shot or two. It was rough, since she isn't used to it, but she tried. And as a reward, she got to pose us, which seemed to be way more up her alley. The couple of years ago, our zoo added an amazing sea lion exhibit. There is a walk through tunnel that is typically jam packed with people and a large glass window where people can interact with the sea lions. 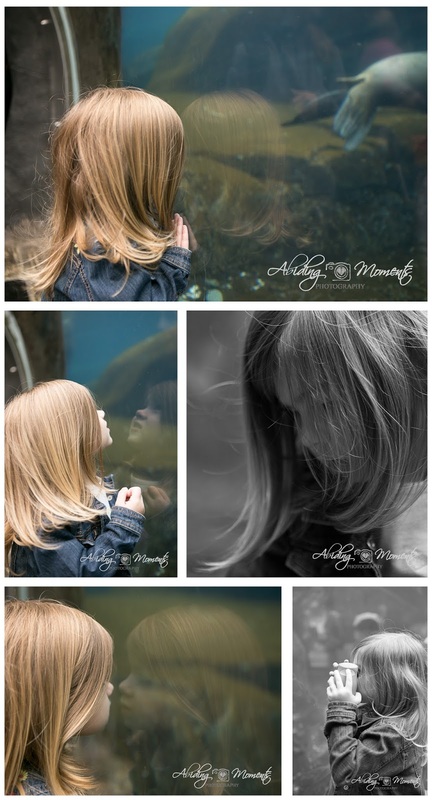 It was neat to see my girl get close to that window in hopes of attracting the sea lions and maybe snagging her own picture. Once we had walked our fair share of the morning away, we headed back to the front and made a pit stop at the flowers on the path. 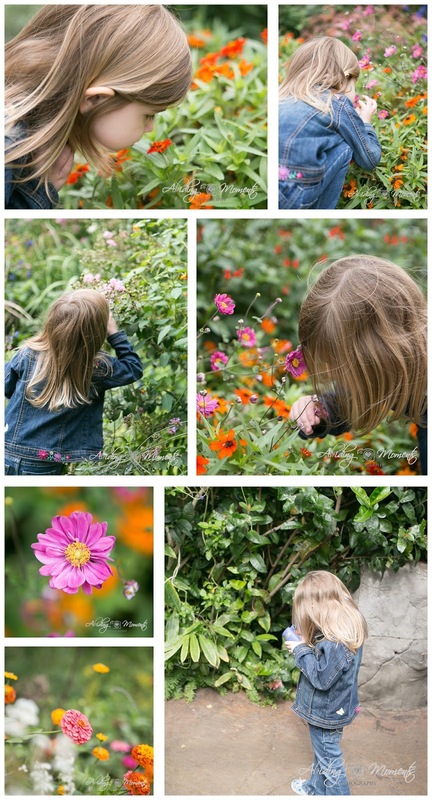 What started out as a simple idea of smelling flowers when my girl was little, is often an easy stop now. And since she now understands that different flowers can smell different, we usually spend a few minutes checking that out. And our final stop? The butterfly house. Small and humid and oh so crowded, but my girls just loves it. 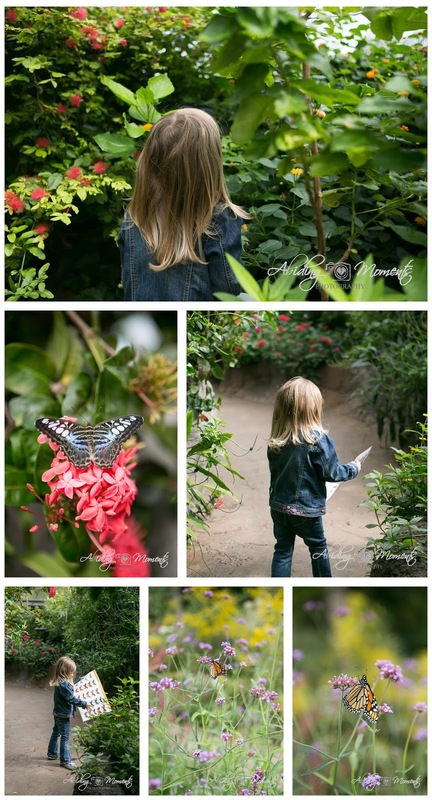 This time, we were fortunate to have a smaller crowd, and it seems that Emma finally understands that she can be searching for butterflies. Right away, she wanted to grab a card to help her find those little guys and I was all for it. 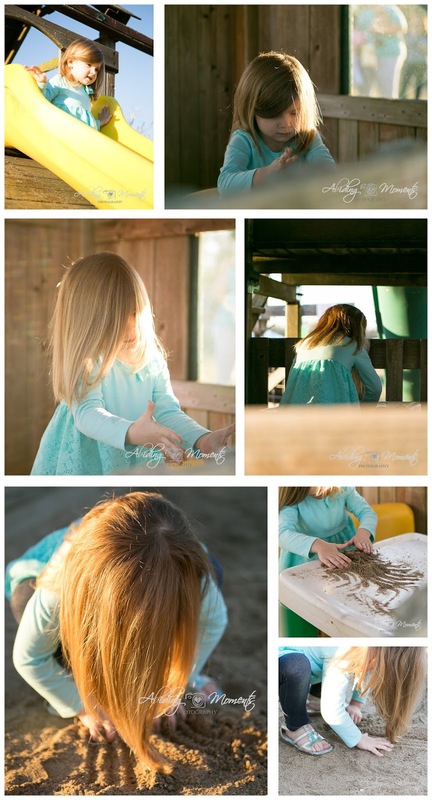 I love seeing her search and learn and explore; must be the teacher in me. As luck would have, after we wondered outside, the zoo has a prairie area (which was WAY overgrown) and a lovely monarch butterfly just fluttered on by. I think there is something so beautiful about observing things in their natural element. It makes days like this speak so deeply to my heart. 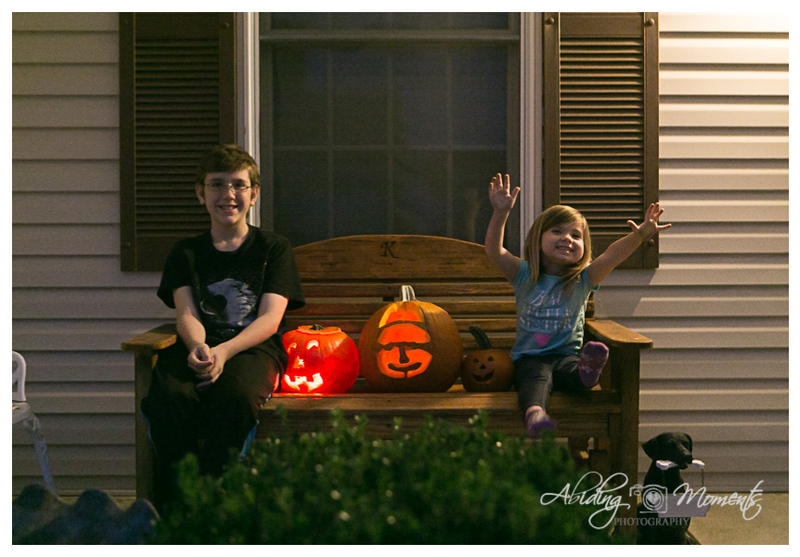 Fall Traditions: Trick or Treat! 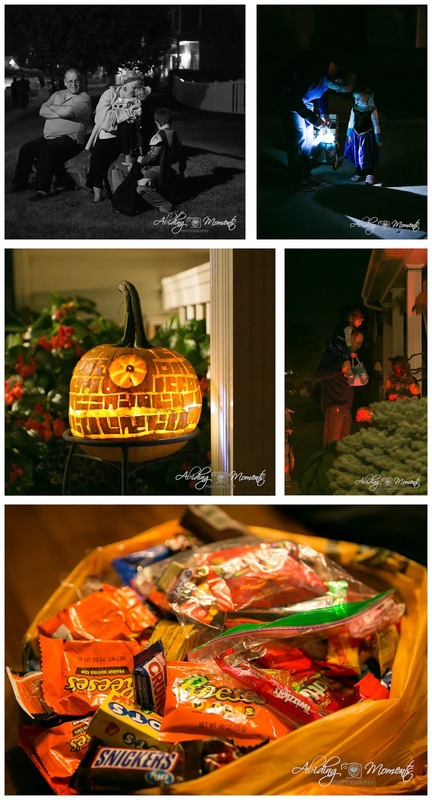 As I'm sure it is for many people, Trick or Treat is our final October tradition. 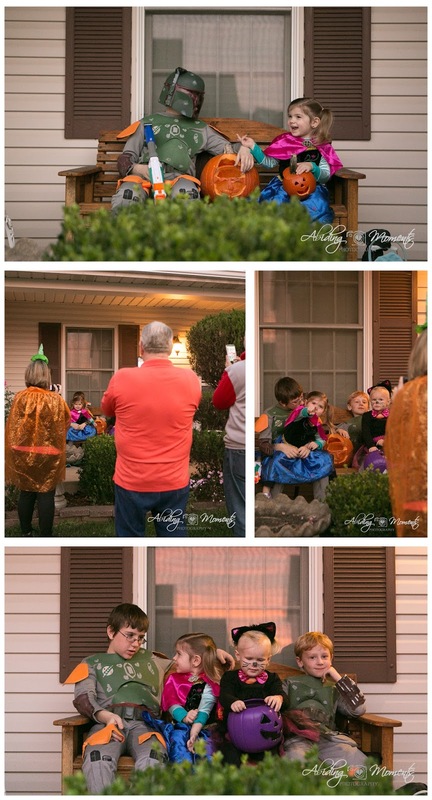 How our family does Halloween has been the same for us in the last few years, especially now that we have little miss. It is a family affair with many of my husband's family members coming out to our neighborhood. 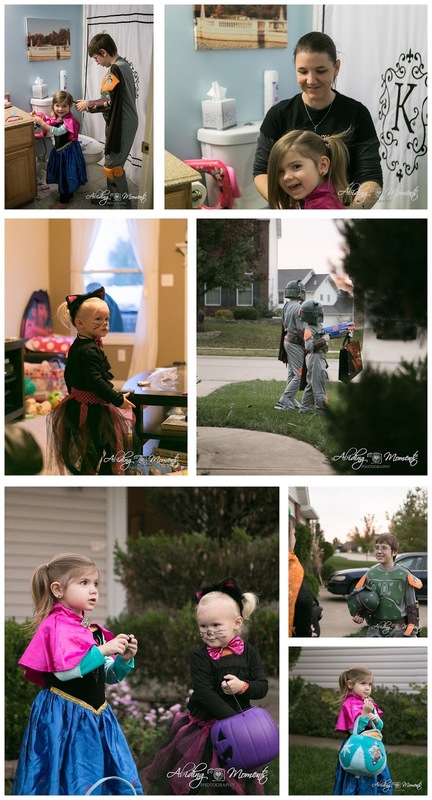 We walk along together and get to see the kiddos run up and down the streets and be their adorable selves at house after house. That tall guy there? He's the best. While I was trying to take care of a million things, he was off taking care of himself and his sister. He even offered to help with her hair. And when it was more difficult than he bargained for and I stepped in? Well, he just grabbed my camera and made sure I was in the story too. Good guy. The story is so often in the details of people: the side glances, the half smiles, the adorable way they interact. I think so often we miss this now a days and I love so much to catch it. I think it tells an important layer to who people are. Ahh the challenges of getting straight on looks and great smiles from little people. Yeah. I'll stick with the adorable interaction instead. Side note: those matching costumes were not planned. 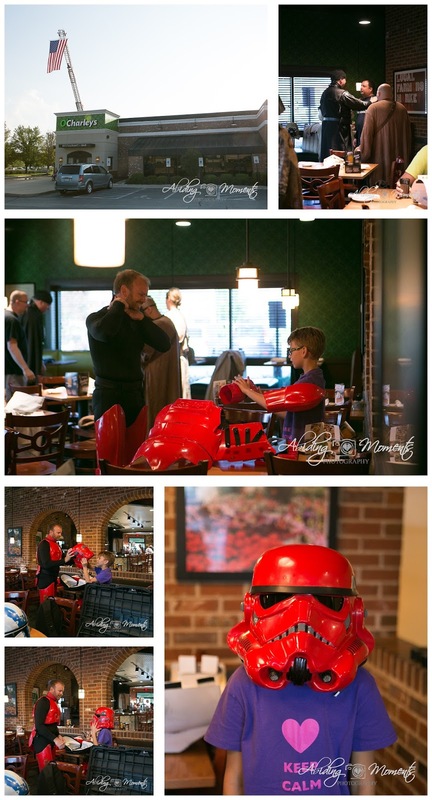 And, in fact, my nephew knew that he was Jango Fett, the son of Boba Fett from Star Wars. So, really, they were different characters - just in case you were curious. And then we were off! House after house, street after street. Our kids were adorable and enjoyed the snot out of it all. What's Halloween without a good flashlight filled face? And a super cool looking spooky house, right? I was very proud of those young men. They paced themselves for those little ones and rarely left them behind. They even let them take turns on pushing the door bells. Of course, if you know those young ladies, you will also know that those girls were very vocal about having a turn, soooo. 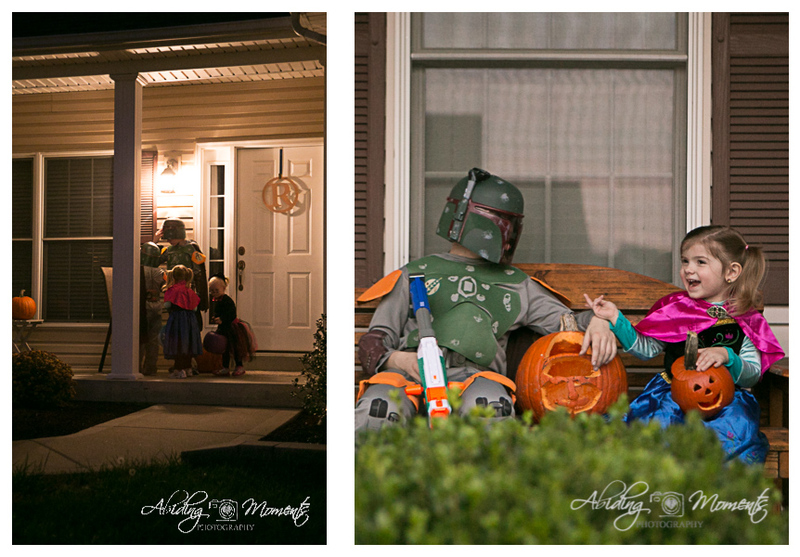 Every Halloween night must have a candy stop. Especially for little legs. And maybe for this Momma's legs too. Along the walk, there were so many cool pumpkins out there, too. But the DEATH STAR? I mean, really, winner hands down, right? 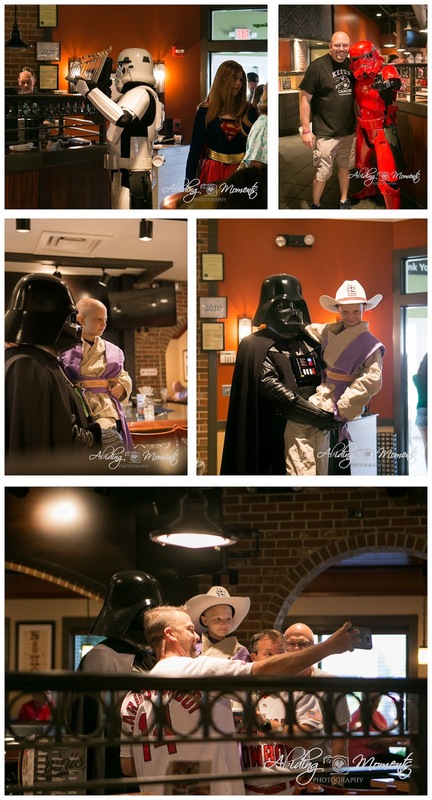 Bonus points that the dad was Kylo Ren and the child was Darth Vader. And what Halloween would be complete without a shoulder ride from Daddy? Such great times. Plus our final loot. Hopefully it will last us well into the new year. Or at least until the end of this one. So, remember how I mentioned a little while back that our fall traditions seem to stack on top of each other? 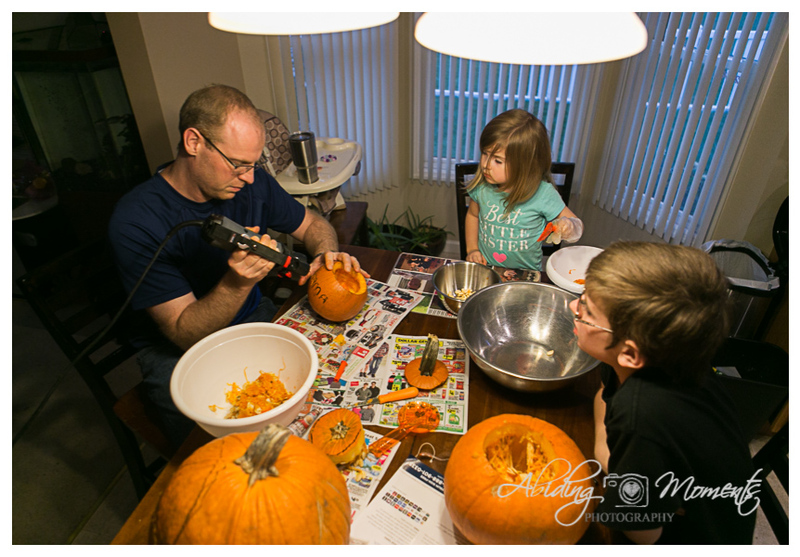 The truth is that timing and busy schedules and miscommunication had us scrambling last minute to squeeze in pumpkin carving before Halloween. And when scrambling happens, so does the attitude and grumpiness combo. Thankfully, since we were slicing into a nice solid object and scraping and digging the guts out of it, it let us get some aggression out and eventually get over ourselves and enjoy it. With the little one being so - well, little - there's not too much she gets to be responsible for. Of course, that doesn't mean her opinion isn't heard. She still gets to help design and keep a close eye on the carving. And then there's the guts. When you're 3 and a girl, digging out pumpkin guts isn't at the top of your list. But with the help of a plastic glove, our girl did just fine and got to be a part of the process. This year, we opted to go old school and design our pumpkins by hand. To compensate, power tools were used for carving. That seems balanced, right? What? You don't use power tools? Hmm. My boys work so hard. They dig deep and get things done and are proud of the product they get in the end. It's neat to see them work side by side. And with smiles like this, who wouldn't be proud? 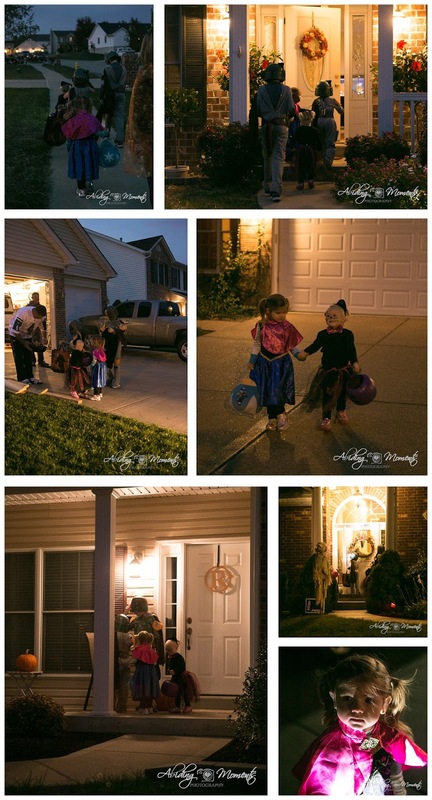 One last piece of our fall traditions left (or at least the October ones): Trick or Treat. And I have some pretty adorable ones, so make sure to come back around. 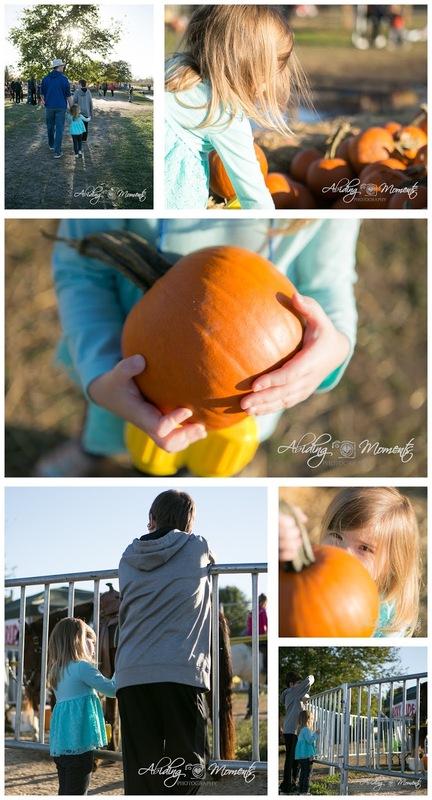 Well, it's fall here in the Midwest, and for many families, that means going pumpkin picking. And while our days always seem to be hectic no matter the season of life we are in (Amen? ), we try to make sure little things like this get a bump to the top. Especially since when we only had 1, it seemed so easy to do. 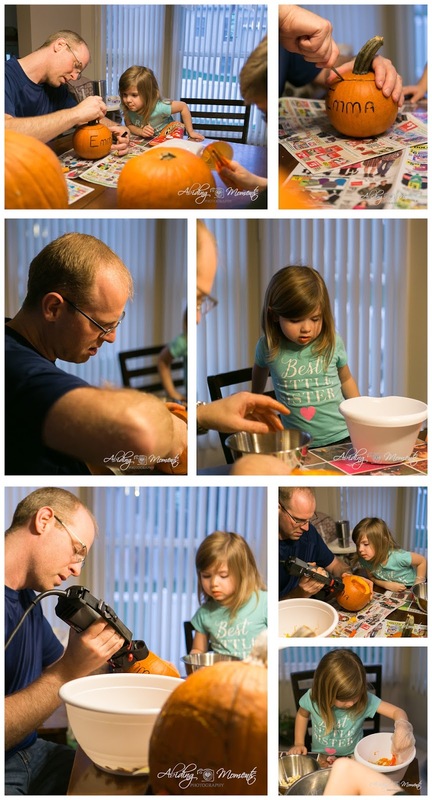 Our girl, determined and focused, walked in and had her pumpkin picked in about 7.3 seconds. It was a good thing I was ready, because I surely could have missed it. That's the way a strong girl goes sometimes though, and it's perfectly fine with me. 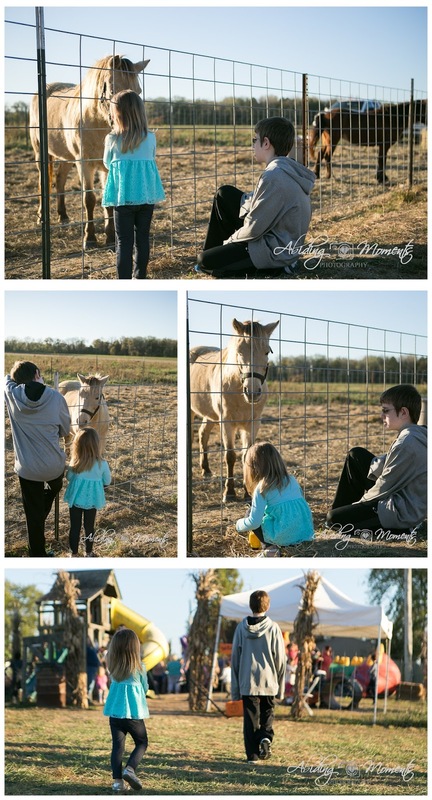 Being on a farm brings lots of new ways to have fun. 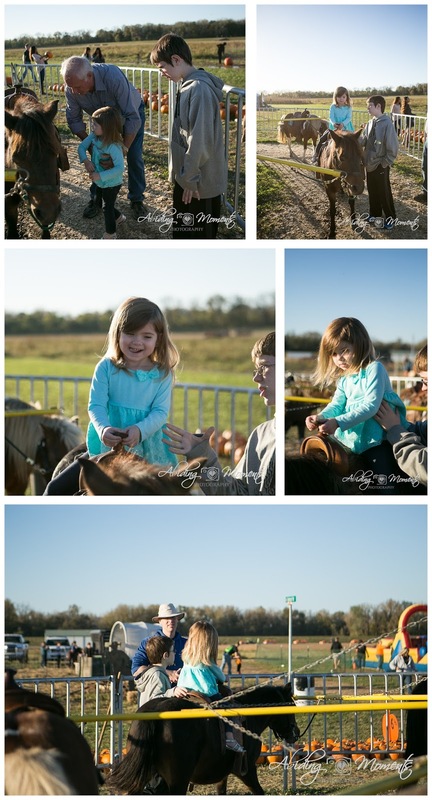 The boys decided that a first time horse ride was on the list for our girl. I was a little unsure with her being so little, but the boys were positive it would be just fine. I think maybe big brother just wanted to get to be her protector and defender. And that worked out perfect, because as it turned out, our girl was a bit timid and slid from the saddle more than her share. It was nice to have him keeping her safe. After our ride, we got to get a look at some of the other horses close by and have a fun chat with them. It was a neat interaction to get to be a witness to, as my son introduced my daughter to the idea of talking nicely to an animal. Then it was off to the playground! It seems that no matter where we go, a new or forgotten playground is always exciting. And that was no exception here. While the big kid played in the huge air tunnel (which my camera wasn't loving), our little one was content with playing in sand. And I was in love with all that light streaming through her hair and the details she was putting into that lovely sand "meal" she was preparing. After all that, the sun was starting to set and our time was winding down. With still one last thing to take care of, we gathered children and shoes and got them all together. If you know my husband and his family, feet tickling is almost an addiction. 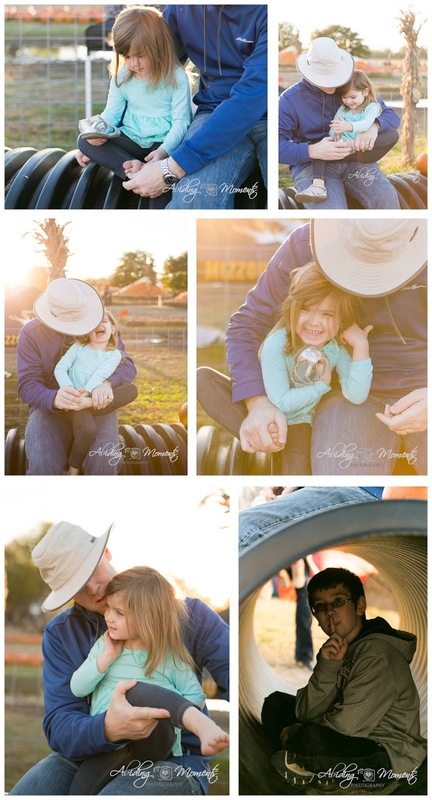 Whether it's my feet or my children's feet, my husband just can't resist, so to say that these pictures stole my heart is an understatement. These are moments I want to cling to. And that light? Well, it's just nice icing. Last on our list was getting our boy his pumpkin. Unlike his younger counterpart, his decision took a literal minute. Walking and thinking and turning it around in his hand - all important parts of picking just the right pumpkin. 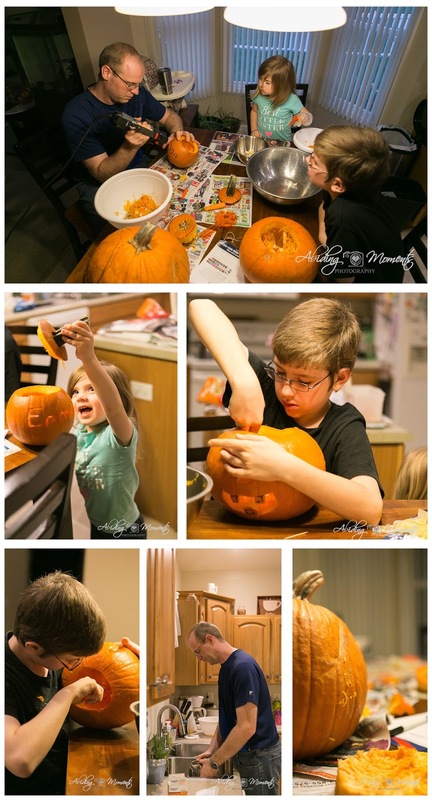 In the end, an all around fun time with some wonderful pumpkins to come home for carving! I can't wait for you to see what becomes of them. Here in the Midwest, fall is in the air - or, at least on the calendar. So, while we wrestle through the emotions of today's high being 80 and tomorrow's being 60, we embrace the good days for our fall traditions. 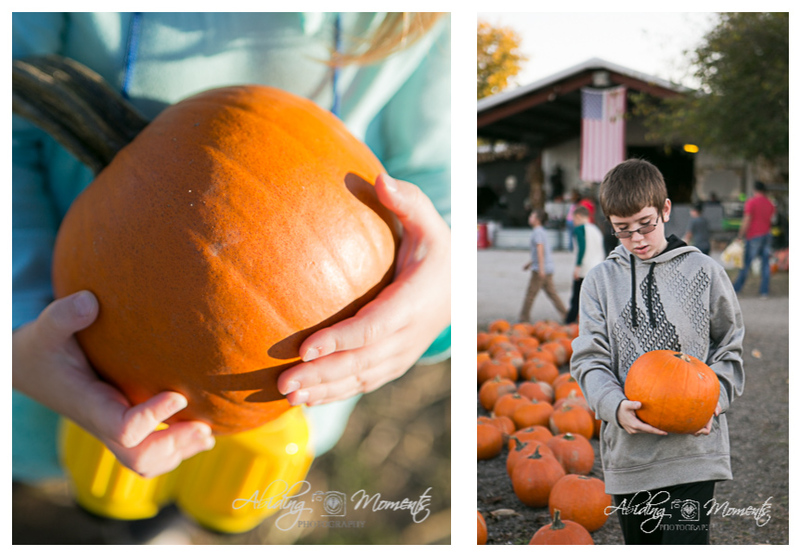 For our family, fall traditions seem to always stack one on top of the other, so getting them all documented and posted quickly for our out-of-town family to see is a little tricky. In the mean time, here's a little taste of what has been happening around here (with more to come in the next few days). 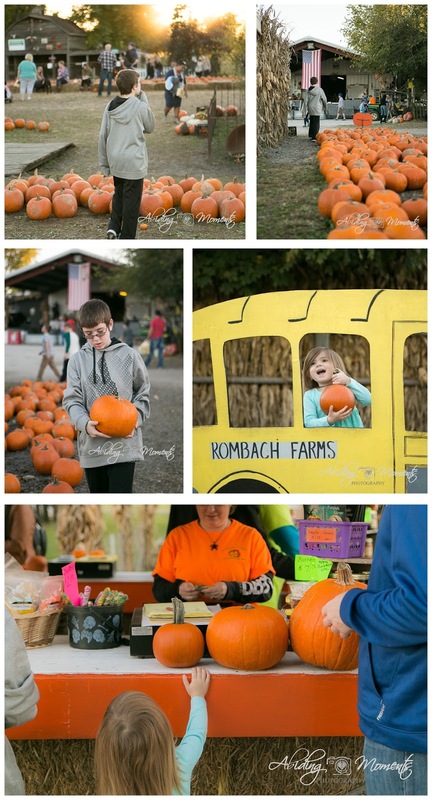 First things first - pumpkin picking is a big deal. In fact, lots of "pickings" are a big deal in our area. Apples and strawberries and peaches and pumpkins and Christmas trees. There are both large and small farms alike all over the bi-state area where you can go and cut out the middle man to pick the one that is perfect for you. 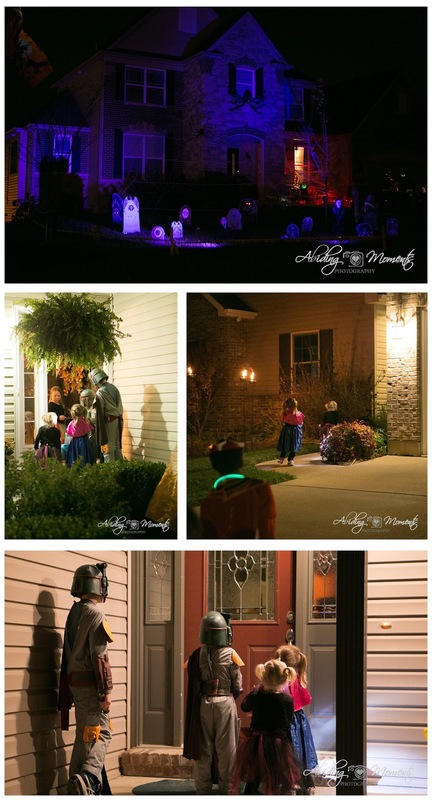 And for the finale, Trick or Treat! I mean, what's better than candy from friendly neighbors, all in exchange for a glorious walk around your neighborhood on a beautiful fall evening? Yea. I got nothing. As usually, there's a whole lot more to the story, so make sure to be watching next week for more posts with all the details. Hannah Nielsen Portland Documentary Family Photographer is next in the circle and you will not want to miss her story - or any of the other stories! I mean, how cool is it to see documentary photography from other photographers across the globe? I might be a little biased, but I think it's pretty awesome.